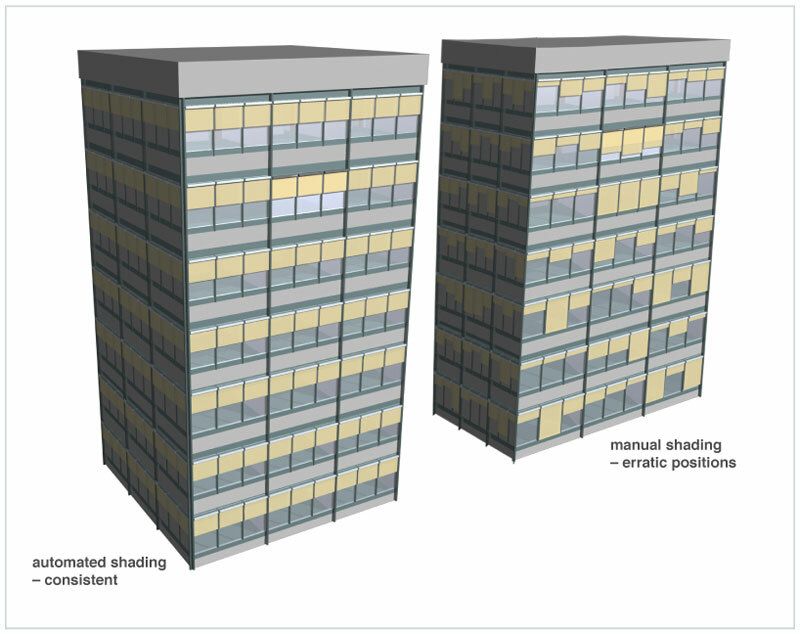 A dynamic façade designed following bioclimatic principles is much more efficient than a traditional façade. It is designed to serve as a dynamic filter between the indoor and outdoor environments. 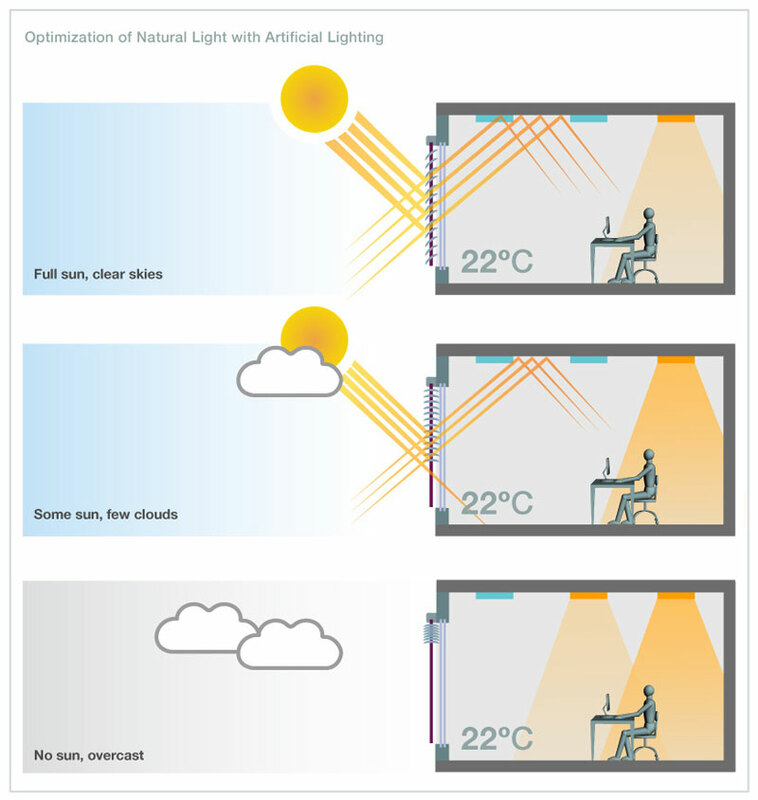 Windows fitted with automated sun protection devices filter or manipulate unwanted sunlight and regulate heat exchanges, in tune with the needs of the building occupants. To achieve a high level of performance from a dynamic façade, designers must pay close attention to the building’s purposing – whether it is a hospital, hotel or office for example – and the day-to-day activities of its occupants. 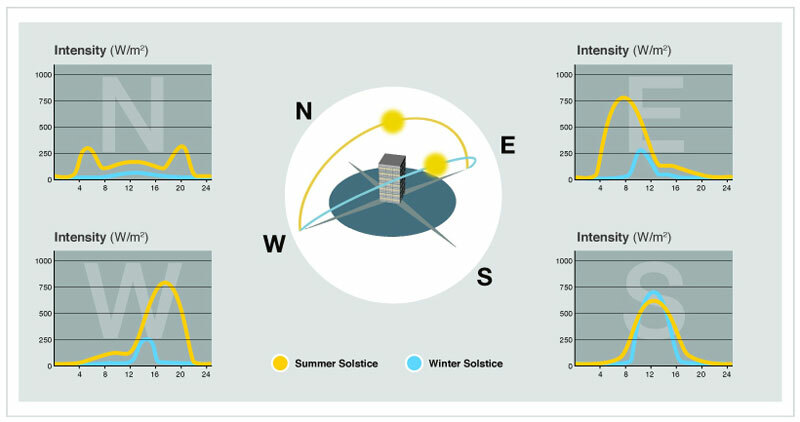 These factors will influence the type of shading to be installed and the control strategy to be used. 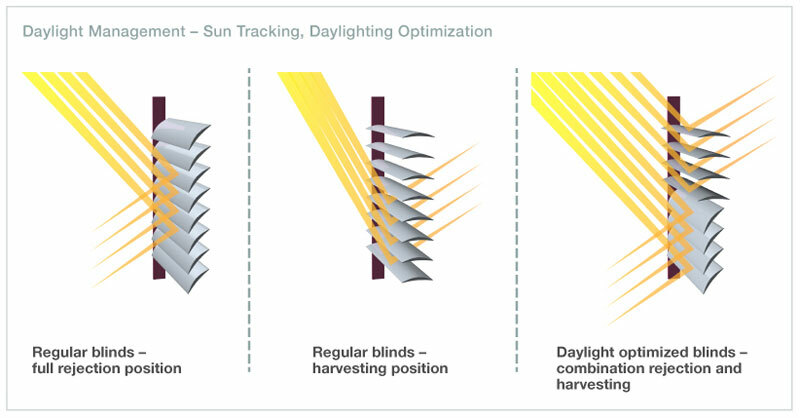 Effective natural light management can improve the visual comfort, well-being and productivity of a building’s occupants, while reducing the need for artificial lighting. 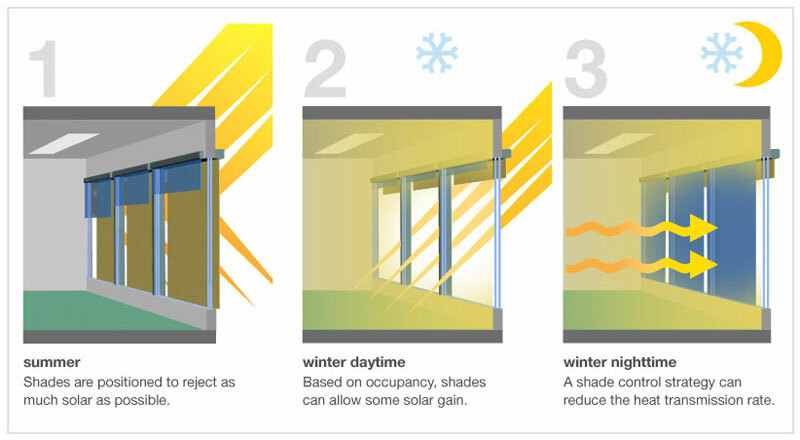 The fabric and colour selection used in the sun protection devices have a significant effect on the light condition, ambiance and décor of the building interior.